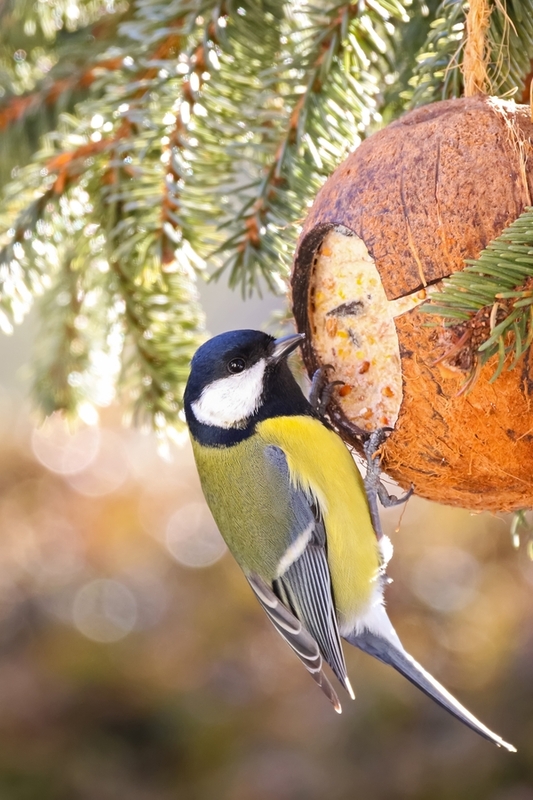 Have you ever wondered how to attract birds to your yard? Many gardeners also enjoy bird watching, especially when the birds come to enjoy the garden you’ve worked so hard on. 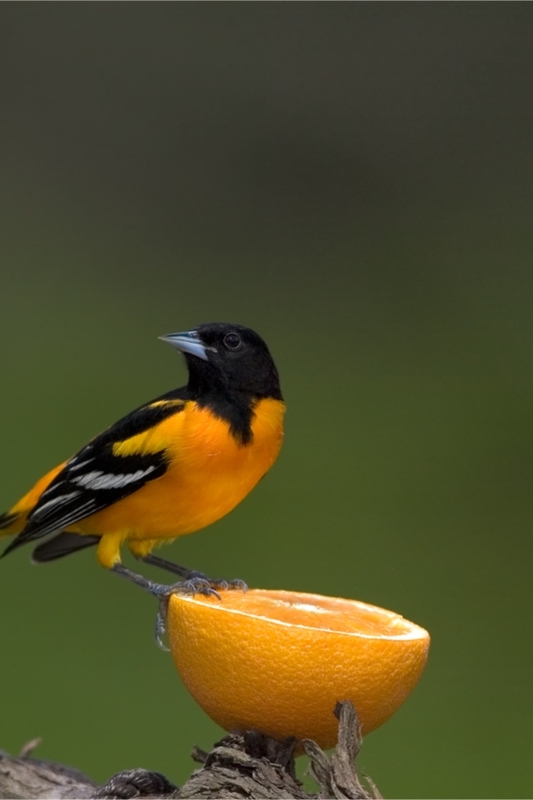 If you’ve wondered how to attract birds to your yard, wonder no more. Today’s post has the just the information you need! Let’s call it what a bird wants, what a bird needs. Because if you aim to meet the needs of the birds commonly found in your area, they will come. Get ready for bird watching! Why should you attract birds to your yard? The main reason to attract more birds to your yard is because it’s fun and enjoyable! But a fringe benefit is the fact that more birds equals better pest control. Many birds feed on insects, therefore helping to control the pest population in your yard and garden. For example, if mosquitoes are a problem in your area, know the types of birds that feed on mosquitoes to help control them. Birds that feed on mosquitoes include Purple Martins and Barn Swallows. 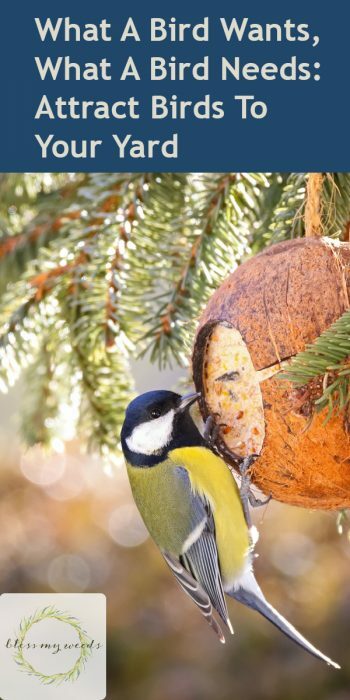 If you want to attract birds to your yard, it comes down to knowing what their needs are–hence the title of this post! What a bird wants and what a bird needs determine where it goes. If your yard becomes a place where different species of birds can meet their needs, you’ve successfully attracted birds to your yard. What are a bird’s needs and how do you provide them? Pretty basic, right? Water is pretty easy to provide. This is where bird baths come in. 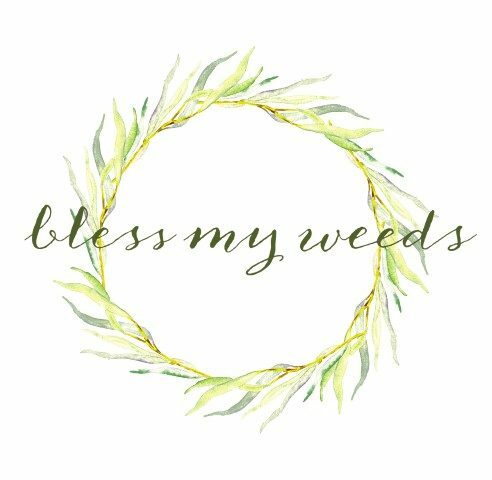 Place two or three around your yard in a variety of sheltered areas, and keep the water fresh. The birds love it! Food is a little more involved, especially if you want to meet the needs of birds that live in your area. First, be aware of the most common bird species where you live, and maybe a few of the less common just to see if you can attract them as well. Chances are, you have a variety of feeder needs in that list. Hanging up a feeder in a tree won’t meet the needs of all of them! Provide different types of seed in different types of feeders, including platform feeders. 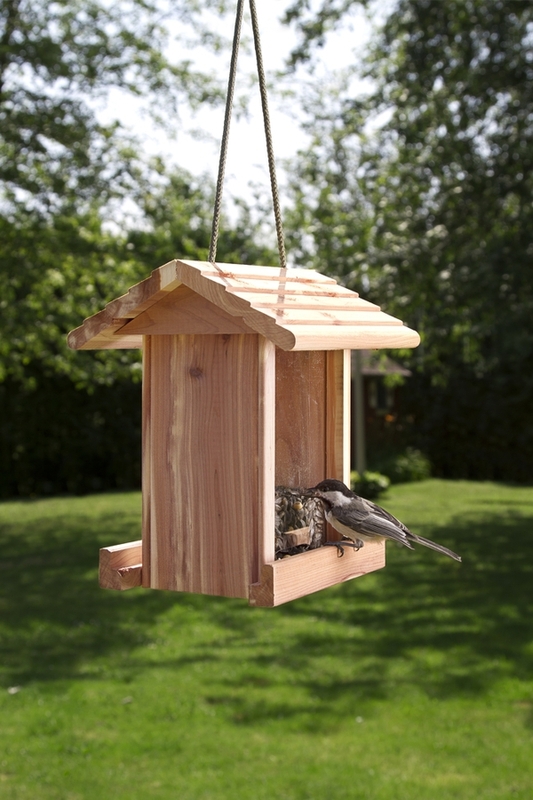 A suet feeder should be put out as well, because birds that prefer insects will also eat suet. Keep the feeders clean, and make sure that the type of seed you buy does not contain fillers, such as wheat or oats. Most birds won’t even eat it! Buy a quality seed such as this nut & fruit feed found at Amazon. For birds’ shelter needs, just planting lots of native plants, trees, and shrubs in your yard goes a long way to attracting more birds. For a little extra incentive, you can provide nest boxes. Know what plants are favored by your favorite birds. For example, learn about 12 plants that will bring hummingbirds to your yard. As you begin to attract birds to your yard and establish it as a place where lots of different bird species can meet their needs, the socialization needs of the birds in your area will take care of themselves. All you have to do is sit back and enjoy the show!